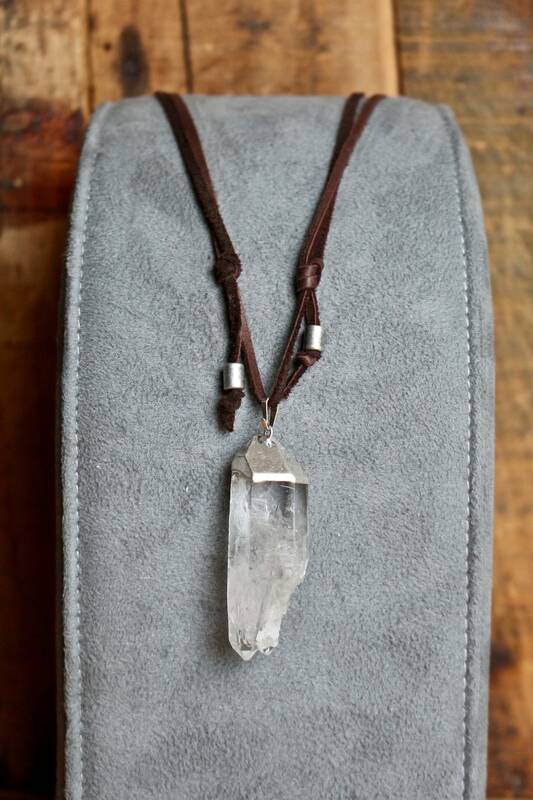 A Brazilian Clear Quartz Point Cluster which hangs from a dark brown deer suede, sliding knot cord, perfect for Men, Women, and children. 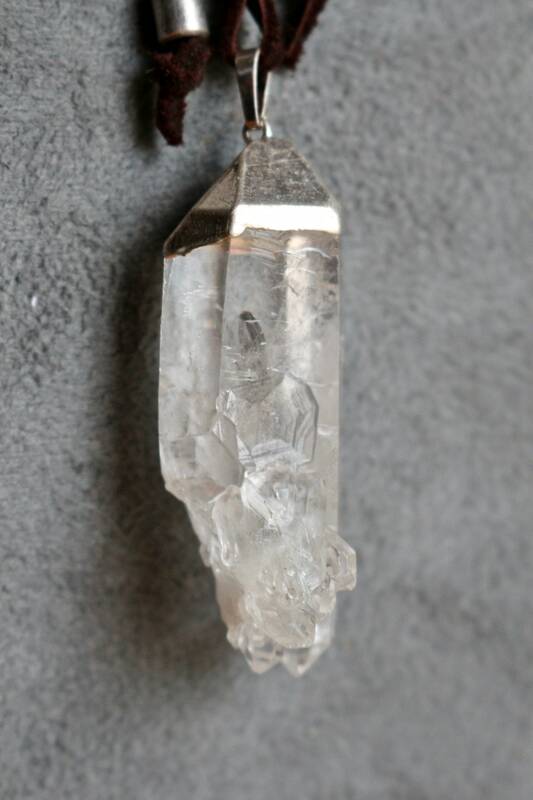 A premium quality Brazilian Clear Quartz Point Cluster with multiple sized points, interspersed with sparkly Quartz Druzy. 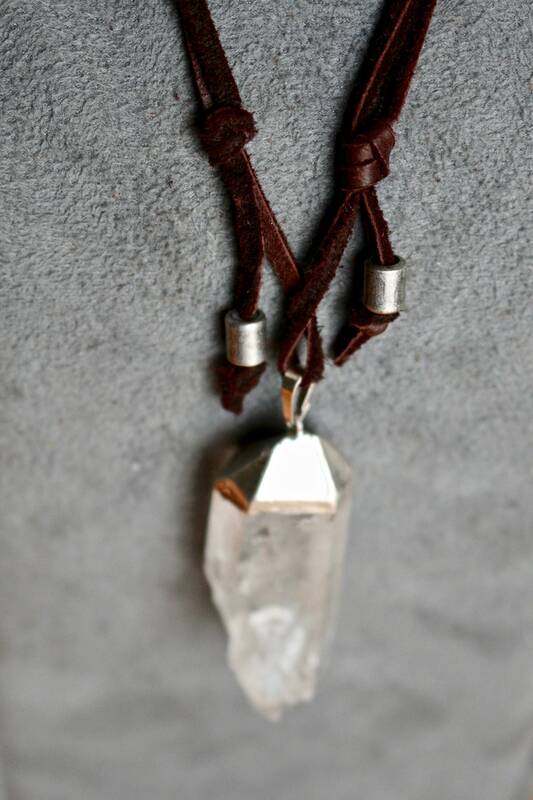 Heavy pewter bead adorns each end of the adjustable, sliding knot leather cord which adjusts to the length desired (see Dimensions below). 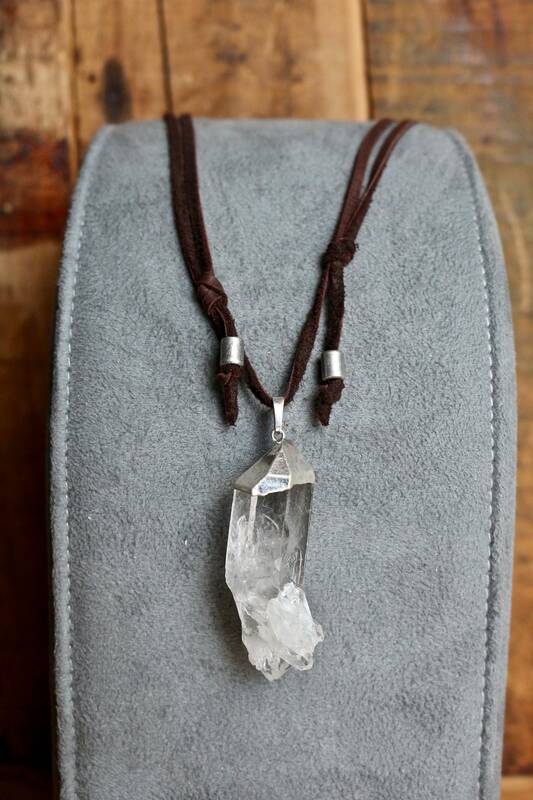 Perfect for layering, a statement necklace, a gift for him or a gift for her. 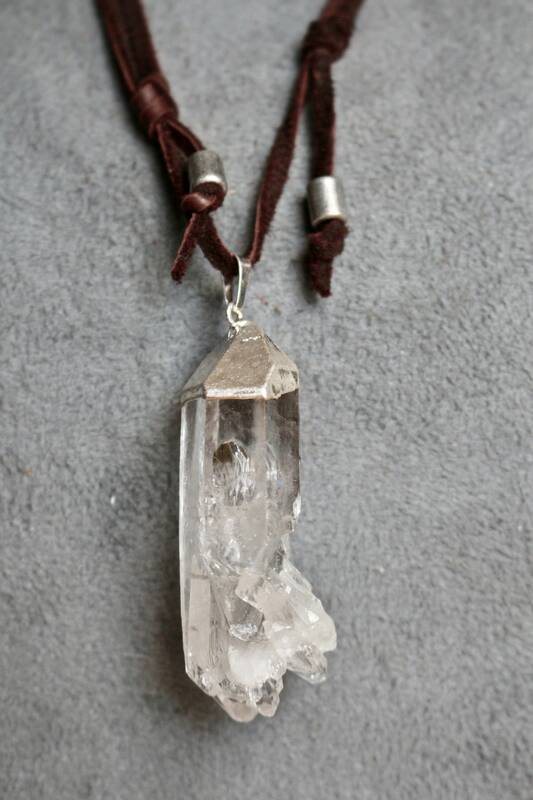 The necklace listed in the photos is the necklace you will receive. Length, Sliding Knot at Shortest Length: 12.5"